WHEN: February 1 – 3, 2019. While the Friday master classes are fully booked, the free open rehearsal from 1:00 to 3:00 on Friday still has openings. TICKETS: Tickets for Saturday’s Open Level Dance Class for all ages are only $15.00 and runs from 11:00 a.m. until 12:30 p.m. The gentler dance class for seniors and people with disabilities runs from 12:45 – 1:30 p.m. and is free. The Sunday performance runs from 3:00 until 5:00 with General Admission tickets only $15.00 and $9 for seniors, students (with ID), military and persons with disabilities. Super Bowl fans are assured that they can be home for kick-off. Sunday performance tickets are available through UCPAC (Union County Performing Arts Center), online at www.ucpac.org/events, or through the box office at 732-499-8226. For general information on the festival and tickets to the Saturday dance class, go to www.carolyndorfman.dance or call 908-687-8855. 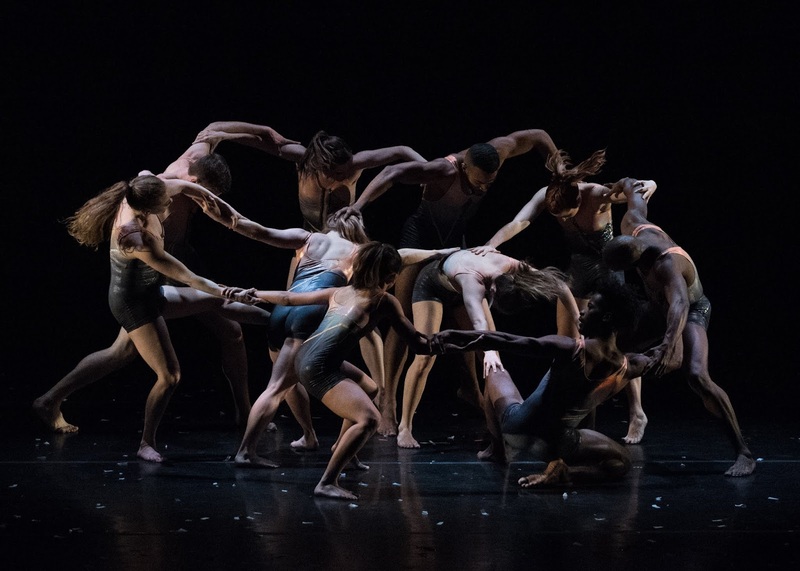 The critically-acclaimed modern dance ensemble, Carolyn Dorfman Dance, joins with Buggè Ballet and the Union County Performing Arts Center to bring the Second Annual Dance Union Festival to Rahway. The festival, designed for dance fans of all ages, includes master classes, school-time programs, community events, and a culminating performance by Carolyn Dorfman Dance and other talented dancers from across Union County. This arts program is made possible in part by a HEART (History, Education, Arts Reaching Thousands) Grant from the Union County Board of Chosen Freeholders. IMAGE: photo courtesy of Anthony Johnson.